Can I refuse to take a breath test, blood test or "field sobriety" test for alcohol consumption? I have just been arrested for DWI; what should I do? This is my second DWI; what is going to happen to me? What should I do if I think I may be under the influence and have caused an accident that resulted in injury or death to another person? I have just been arrested. What happens next? A refusal of the PBT test — if requested by a police officer who has reasonable cause to believe that the individual is either intoxicated or, in the case of a minor, has been consuming alcohol — will result in a civil infraction. If the court finds that the person has refused the police officer’s request to take a PBT and that the police officer did have reasonable cause to make such a request, then a fine of between $75 and $200 will likely be assessed. There are no points on an individual’s record for refusing to take the PBT, and the refusal is not admissible by itself in a subsequent court proceeding. 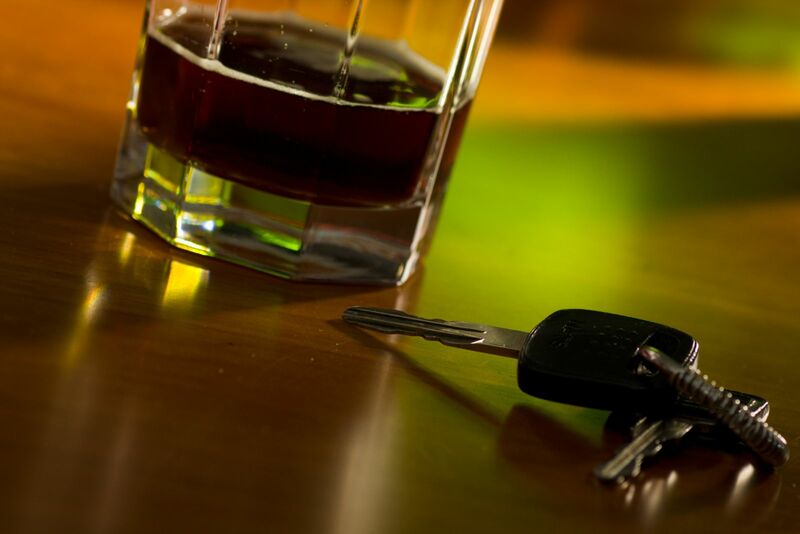 The second breath test is a test used in motor vehicle cases and is requested by the police after an individual has been arrested for an alleged drinking and driving violation. This second test, commonly known as a “Datamaster,” is performed at the police department or jail. The Datamaster test is much more reliable than the PBT administered at the scene. Refusal to take the Datamaster test after an individual has been arrested is a much more serious matter, and unless the individual arrested can demonstrate that it was medically impossible for him or her “to blow” into the Datamaster (asthma, panic attacks, etc.) such a refusal will result in six points being assessed on the individual’s master driving record and will also result in the loss of the individual’s Michigan driving privileges for a period of one year. Additionally, points will be assessed for two years on the person’s Michigan bad driving record. Due to the severe consequences of refusing to take the Datamaster test, it is strongly suggested, that in most cases, this test should not be refused. Blood tests or urine tests may also be employed as the chemical test of choice that a police officer may ask an arrested individual to take. It is up to the arresting police officer to choose which test the arrested individual must take, or face the previously mentioned consequences of “a refusal” and a violation of Michigan’s “implied consent law.” Once an arrested driver takes the test of choice, however, he or she may request that the police officer give them the opportunity to take a second test (of the arrested individual’s choice) “to verify” the accuracy of the test chosen by the arresting police agency. For example, if you have been requested to take a Datamaster test by the police, you may request to be taken to the nearest hospital to have your own independently administered blood test. It is usually a good idea to do this, and the police must honor your request. Such an independent test, however, will be at the arrested individual’s own expense. You also have the right to refuse to take what police call “field sobriety tests” — e.g. if you’re asked to walk a straight line keeping your heels and toes together, you can simply respond, politely, “I prefer not to do a heel-to-toe test, or attempt to walk in a straight line, etc.,” and by the way, “I also don’t want to recite the ABCs, etc.” (singing or otherwise). Simply put, you are not required to attempt to perform these types of roadside sobriety tests and, importantly, there are currently no sanctions for an individual who refuses to take these types of field sobriety tests. Be cooperative; no points are scored for being obnoxious. After having taken a test for the volume of alcohol in your blood (usually a Datamaster test), you should request an independent verification of your blood alcohol by asking the police to take you to the nearest hospital for an independent blood test that you will have to pay for to verify the results of the Datamaster test. You should also call your family and let them know where you are, and the local procedure for bonding you out once your BAC level is acceptable (usually at a level of .02). Do not discuss the facts of your case with anyone, and that includes other individuals in your jail cell, as well as correction officers or police officers at the jail facility. Individuals you have conversations with at the jail could end up being witnesses against you at a trial based on what they claim you told them. If convicted in Michigan, you face a minimum mandatory five days in jail, of which 48 hours must be consecutively served. Depending on your overall master driving record, the county of your arrest and the facts of the event in question, the minimum jail sentence could be as high as 30 days and the maximum jail time could be up to one year. Your bond will be generally much higher than a first offense, typically in the range of $500 to $2,000, and license sanctions include six points on your master driving record and suspension of your driving privileges in Michigan for one year. If this second offense occurred more than seven years after your first, then your license will only be suspended for 180 days with a restricted license available after 30 days. You definitely will need a lawyer to represent you to protect your rights on this very serious charge. First, regardless of your belief that you may be intoxicated, do all you can to help anyone injured. Thereafter, consume food to slow the ingestion of any alcohol in your stomach. Cooperate with authorities, but make no statements to anyone about your conduct, until you have consulted with an attorney. If not told why you were arrested, ask the police or corrections officer the charges for which you were arrested. You should be allowed to call a family member or a friend for purposes of arranging your bond and for legal representation. If alcohol was involved in the incident leading to your arrest, you may be required to stay at the jail until your blood alcohol level is very low (usually .02). If not bonded out, you will be detained for an arraignment before a judge or magistrate where you will be informed of what the charges are against you. At your arraignment, your bond will be set, and if you cannot afford an attorney, the court will appoint an attorney for you if the offense for which you were arrested could lead to your incarceration. You will also be notified at your arraignment of your next scheduled court matter when your appearance is required. After you have been arraigned, once your bond has been posted, you can usually be released from jail (absent being charged with a very serious charge). Most bonds are cash or surety bonds, meaning that you can deposit the full amount of cash for the bond or post 10 percent of the bond with the court, and the court will return 90 percent of the amount of money you have posted after you have completed all obligations regarding your case. Once released from jail, it is very important that you contact an attorney before talking with anyone. While in jail, talk to no one about your case until you have consulted with your attorney, since anything you say to another person at the jail might come back to haunt you in the form of a witness testifying against you in a subsequent court hearing. Our offices are located in Mount Pleasant and Midland, but we serve clients throughout central Michigan. Contact us to get your questions answered. Posted on 06/28/2018You've been arrested, now what?